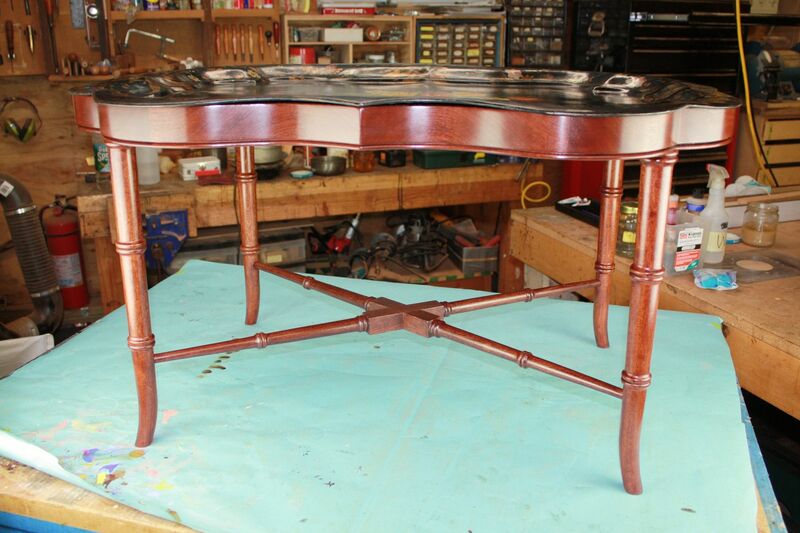 This stand was custom made for the antique tole tray provided by the customer. It was hand shaped in solid sapele to fit the shape of the tray. 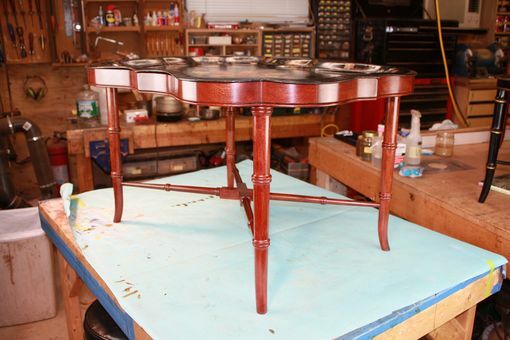 A plywood bottom was rabbeted into the solid wood to provide added strength and stability. The beaded edge on the apron echos the rolled edge of the tray. Turned bamboo style legs were flared by hand at the foot. Stretchers were mortised into legs and lap jointed where they cross at the center. 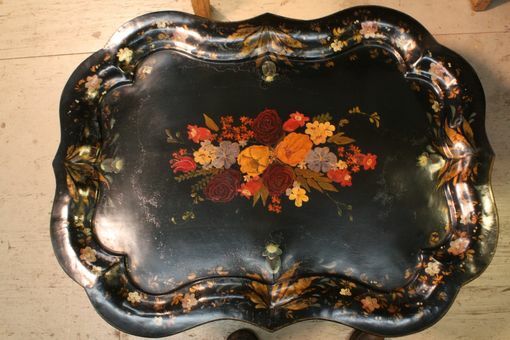 Restoration of the tole tray was provided as needed.